You might have seen my interest check a few weeks ago for the Ellipse macropad, a macropad with 3 rotary encoders and 3 mx style keyswitches. If you didn’t see it, you may ask, why would anyone want that? Here are some ideas: controlling settings in photoshop, pan tilt zoom for 3d controls, scrolling sideways and zooming, and many other possibilities. Basically any setting that comes in sets of 3 (or less, or more using layers) can be controlled using this macropad. SUPER IMPORTANT: My website’s emails currently are marked as spam. Check your spam folder and mark me as not spam if you place an order. Quick summary if you don’t want to read the wall of text below: The macropad has 3 encoders and knobs included, an acrylic plate case, rgb underglow, backlighting compatible, and QMK. Buy ends on Monday 4/15 and estimated delivery is within 4 weeks of the GB end. Depending on which encoder and/or knob option you select, there may be a small extra charge (up to $5) because some parts are more expensive and harder to source than others. This is strictly optional. There are encoders/knobs available within the base price. There will be up to 7 black cases, 25 translucent (diffused) cases, and 27 clear cases available, but the maximum total number of orders will be capped at 40 for now. I am not completely decided on the minimum order quantity to make it happen, but I would like at least 25 orders to comfortably run this. Group Buy opens on Today, Weds 4/3/19 when this post is created and ends on Monday 4/15/19, for a duration of approx 1.5 weeks. After GB ends, orders are placed for PCBs and components, which are manufactured, assembled, and delivered to me for kitting in about 3 weeks. The product is shipped to you within 1 week. Domestic US shipping will take 2-3 days to any destination (priority flat rate USPS). I picked up one. No idea what I’ll use it for but it’s an interesting kit. IMPORTANT: can you please PM me so I can calculate your shipping before you place the order, so the shipping can be added in the same order. I’m not able to get the cart to render without those “spinners” covering the payment area! I tried refreshing multiple times, as well as on different browsers, but to no avail. Any help? I gotta be honest, I am not sure. I just tested it and it worked fine for me, spun for like 1 second. Nothing is going out of stock yet, would you mind testing it later or tomorrow, and if it doesn’t work I can just manually send you a paypal invoice. You’ll just have to PM me. 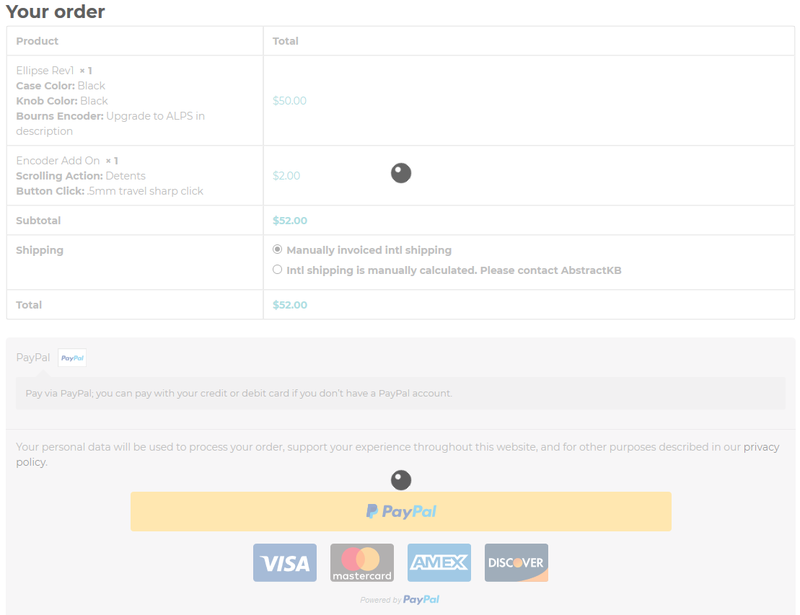 Just placed my order with no difficulty during checkout, when paying with paypal. If this is being troubleshot, or others want to try and replicate, I used Windows 10 with Chrome Version 73.0.3683.86 (Official Build) (64-bit), No Ad or content-blockers installed or enabled (uBlock origin doesn’t play well with paypal for me). I was able to purchase on mobile with no issues.